For a number of reasons, we have decided to cancel our geekout for 2018. We are planning to be back in 2019 in Orlando! controlgeek.net/Timberspring Infocomm Orlando 2018 Geekout Call For Case Studies! For a number of reasons, we have decided to cancel our geekout for 2018. We plan to be back in 2019 in Orlando! Jim Janninck (Timberspring) and I will be once again hosting our annual Show Control Case Studies Geekout tentatively on the evening of Thursday June 7, 2018 during Infocomm in Las Vegas (location to be determined). Here's a wrapup of last year's session. Submissions must be submitted here by 9am NYC time Tuesday May 1 2018. Jim and I will evaluate and select the projects, and in the case that we have more good presentations than we can fit, the earliest valid submission will get priority, so get those proposals in soon. 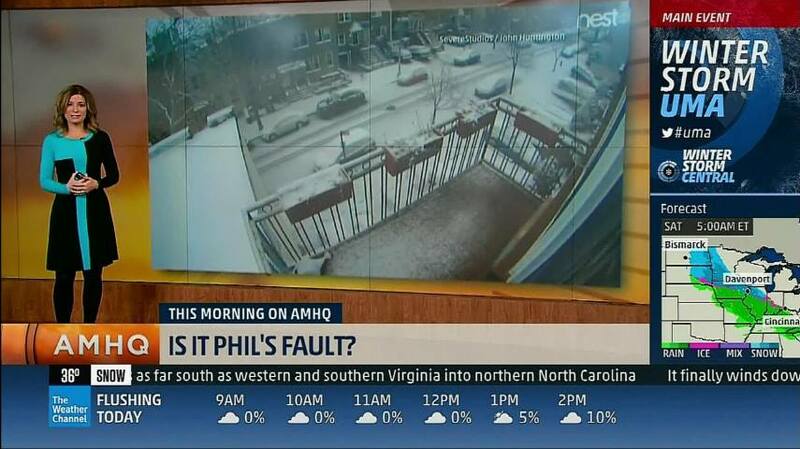 A snow storm time lapse of mine ran on the Weather channel March 23!